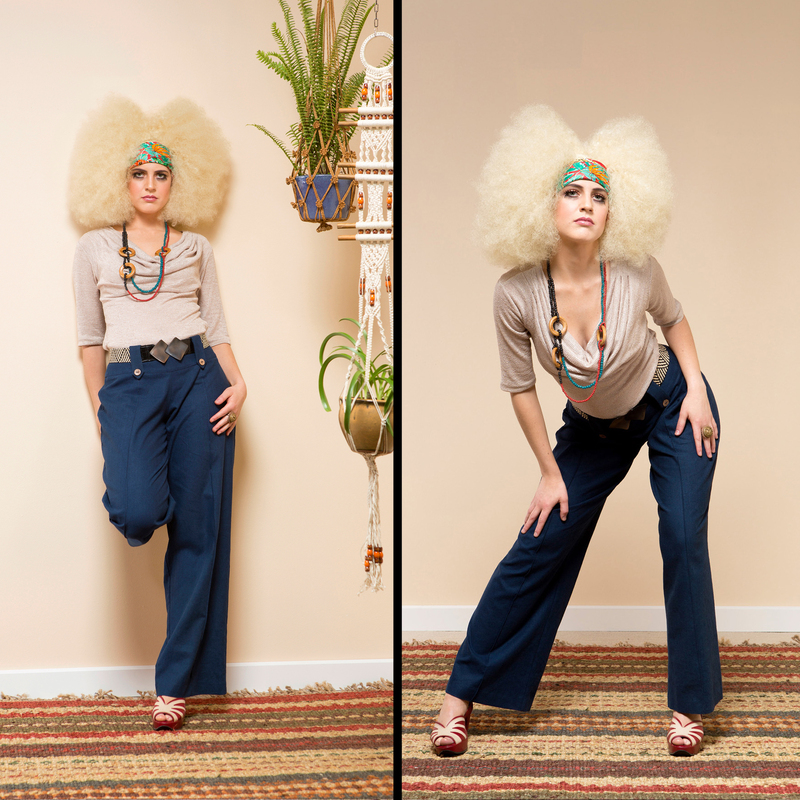 Jen is wearing the Monte Carlo Sling in OATMEAL & the Safeerah Linen Pants in DENIM. She also wearing a Raffia & Leather belt and recycled glass & wood necklace available at Sprinkle Emporium. The Safeerah Linen Pants have a pintuck detail to elongate the leg line, belt looper and button detailing. These pants look great worn with a funky belt. Also available in BLACK & KHAKI.